Woodlands Hotel Leeds is, as you know by now, one of our favourite venues, and our first visit to it for 2018 was courtesy of Emily and James.We at ILTO visited Temple Newsam some months before, to get the pre-wedding shoot done, so we knew, providing nerves or alcohol didn’t get the better of them, that the pictures would be great on the day …. and we were right! As always we started the prep shots nice and early. We were warmly greeted by everyone there (which does help!) and before long, it felt like we’d known them all for years … in a good way of course! Details done and dusted, I headed straight to the church for once. James was getting ready miles away, somewhere in North Yorkshire, so they’d agreed to skip his prep shots, as I’ve have been traveling for nearly an hour in each direction! When I arrived at the church, I was surprised to see most of the groomsmen stood waiting! That doesn’t normally happen, but this lot were on the ball… so they decided they wanted so messing around shots before James turned up. Well! I couldn’t say no could I!? James eventually turned up, and he had apparently bought approximately 23,753 Greenfly with him. They were everywhere, like on flying ant day, but they weren’t flying ant’s, they were Greenfly …. did I mention that?! Bridesmaids delivered and all inside to get ready for show time. An unattended groom (as the best man was outside chasing Greenfly no doubt!) suddenly looked nervous, so I stopped taking shots for a while and got him sorted and smiling again. Emily, the Bride, arrived looking stunning, and the ceremony began. Clare up on the balcony, me tucked away where the choir would be… it’s a good job I’m so slender eh! Hymns, prayers, readings and vows done, we squinted outside in the glaring sun for a few key formals. In the cars and off to the Woodlands Hotel Leeds. We truly love this place! It has plenty of options if the weather is against you, and plenty of well kept gardens if the weather is fine! We’d quite happily cover wedding at Woodlands everyday of the week, as we really do love it that much! Into the permanent marquee (which always gives us plenty of light for the pictures, so thank you Woodlands hotel leeds! ), for emotional and funny speeches, and then the wedding breakfast. Outside for some fresh air, and a few shots of just the two of them. We love this part of the day because couples are always more relaxed, and the pictures always reflect that. 20 minutes later we all head inside and wait for the reception guests to arrive. First dance was spot on, and we spent 40 minutes saying our goodbyes! 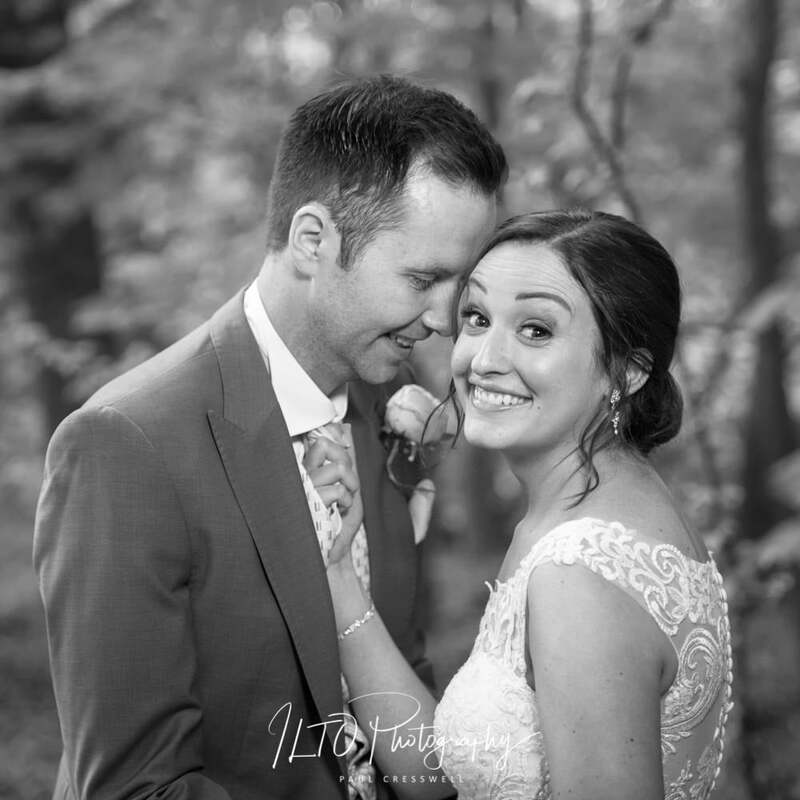 Make sure you look through our other wedding blogs while you’re here, and if you like Woodlands, you’ll probably like Bagden Hall – another our favourite venues!